I was striding past Albania’s National Art Gallery when I suddenly spotted a familiar face lurking at the back. Wait, it can’t be? Can it? Yes, it is! Stalin himself, larger than life, glaring disdainfully at the passers by! 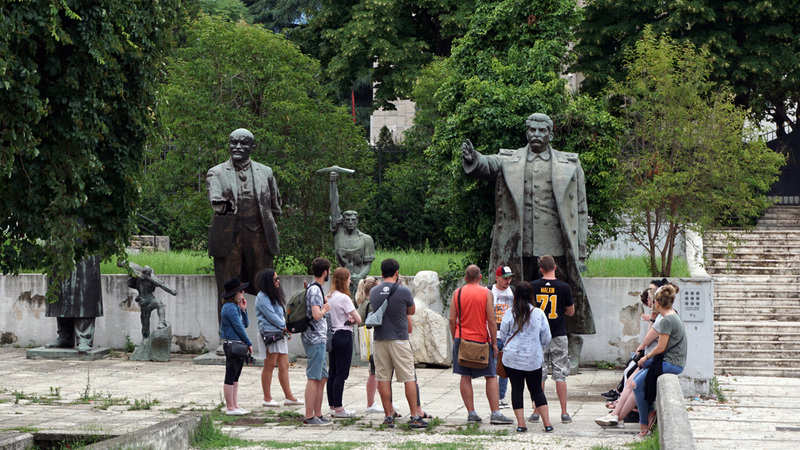 It turns out that an area behind the Gallery has a small selection of communist-era statues. There are not one, but two Stalins, and a damaged but still cheerful Lenin. 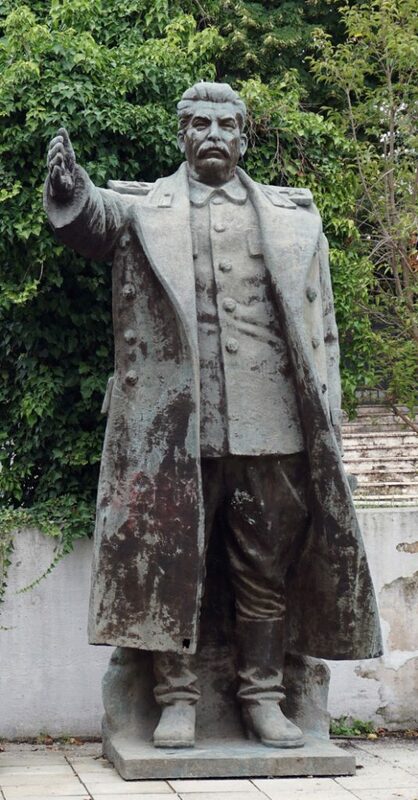 I had forgotten that Albania had been not only Communist but actually Stalinist, all the way up until 1991. 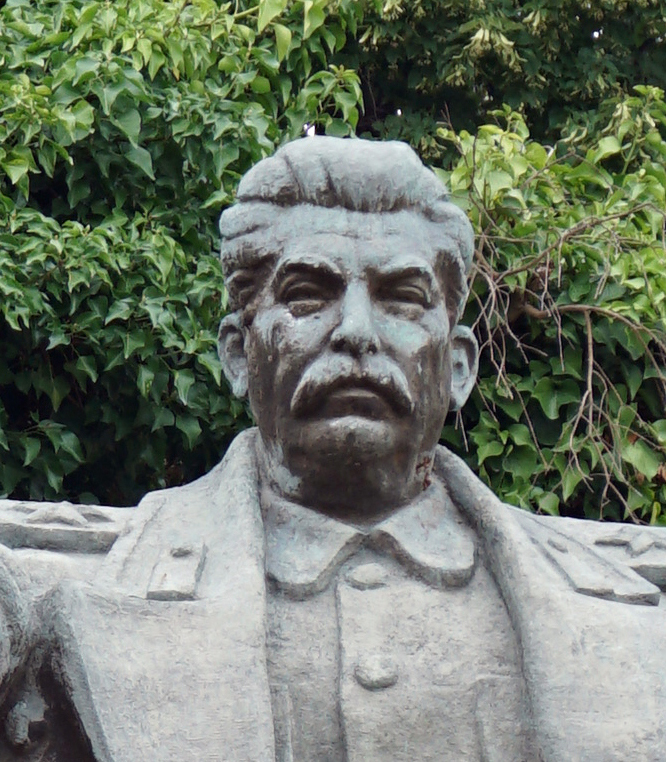 So unlike most of Eastern Europe there were still Stalin statues, as well as Lenins, to be torn down and banished to museum back yards. A rather befuddled tour group.